I've been primarily working on my king sized February goal this month. Life has been trying it's best to get in the way. I continue to be thankful to Sarah for her 4x7 Sewing Challenge for the month, to keep me focused mostly on the one project (which is hard for me) and for the encouragement to just do that 30 minutes (or whatever I can manage some days) each day, even when I don't feel like it or really don't have the time. I'm thrilled with my progress and have finished 15 of my 36 quilt blocks, with the other 21 of them in progress, assembly line style (go go gadget chain piecing!). This gives me six more days to finish the blocks up, get them pieced together and add on the three borders. It'll be a stretch, but I might just finish the quilt top. (Why'd I chose the shortest month of the year to make a king size quilt!?) This will be the first quilt that I'm sending out to be quilted, so the quilt top will be nearly the "done" stage as far as my work goes, which is even more exciting. Just keep sewing. Just keep sewing. 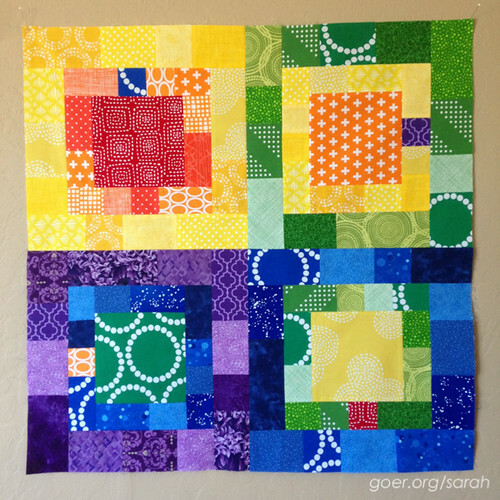 I also got these four blocks together this week to finish my IG Rainbow Mini Swap quilt top. You might remember the pattern from my Antioxidant Delight quilt. 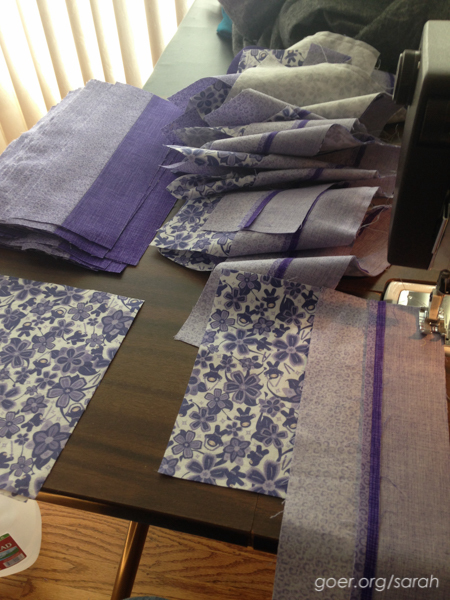 Linking up to Sarah's 4x7 Sewing Challenge Week 3 and Thankful Thursday. Posted in Quilting. 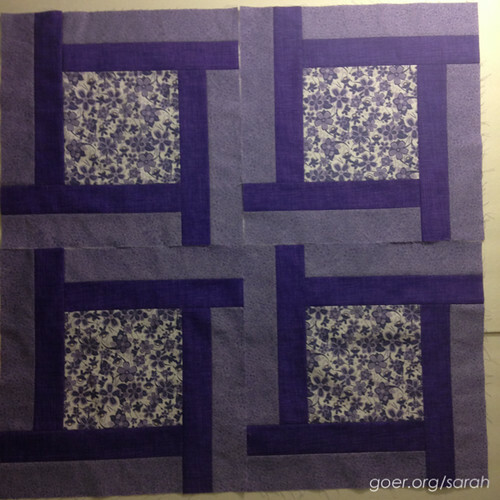 Tags: 4x7 sewing challenge, ALYoF, Finish Along 2015, king size quilt on February 21, 2015 by sarah. I would be very amused if you did. I am really loving your rainbow quilt. Such beautiful colors all put together in a fun way!! Thanks, Bo! It'll be so nice to have it on our bed instead of the (totally doesn't match the room) t-shirt quilt of my college shirts. I'm glad that the rainbow quilt came together. After designing Antioxidant Delight I knew I wanted to use it again and I was excited to do this in a different way. Love the colors in that mini!! Thank you! It was a really fun fabric pull! Excellent progress :) Loving the purples. What great projects. You know I love the purple, but I am absolutely loving the rainbow! Your blocks are coming together nicely. You can do it! 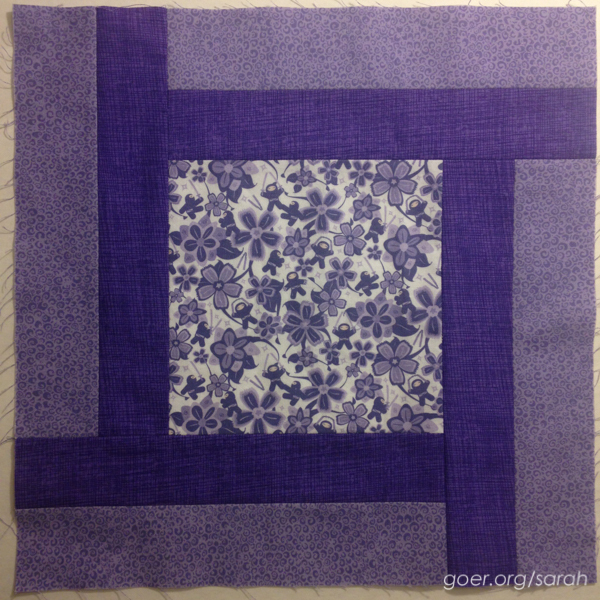 I love the purple quilt, I can't wait to see if finished. Oh, these rainbow blocks are my fav! Chain piecing for the win! I'm weighing in late in the week, Sarah, but I hope to be really surprised with photos of a gorgeous finished top with your last link up : ) Even if you don't quite get it done, at least you'll be so close!